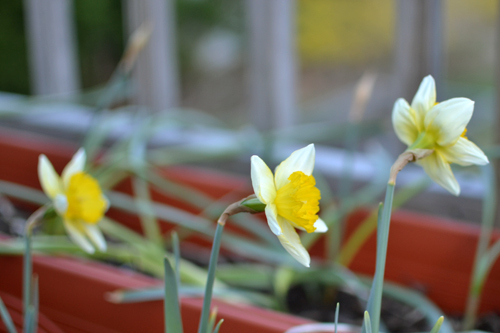 During our short bout of gorgeous sunny days, my daffodils got confused and flowered. 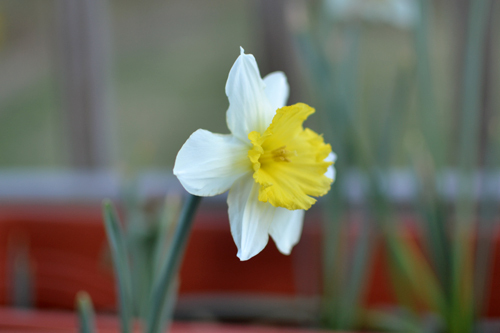 I love daffodils! They seem like the happiest flower to me. What's your favorite? 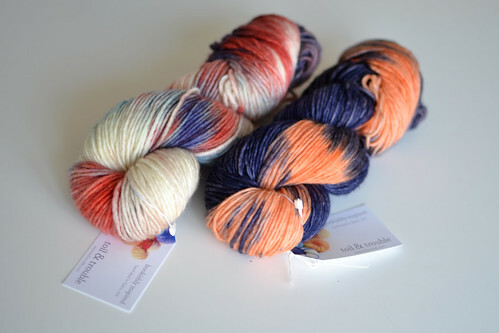 From the Dye Pots & Yarn on the Cape! 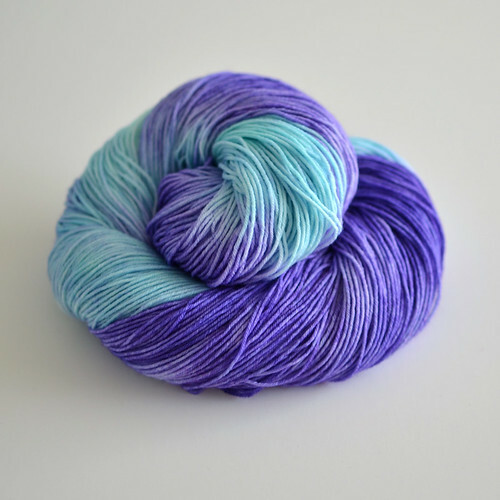 A quick peek at some of the goodies coming out of my dye pots. 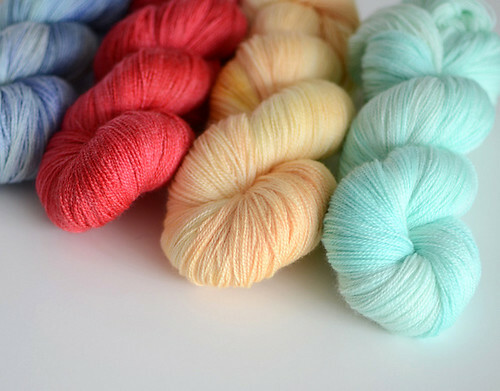 I have many more new colorways coming soon, and also some exciting news: My yarn will now be available at Sage Yarn in Falmouth, MA! 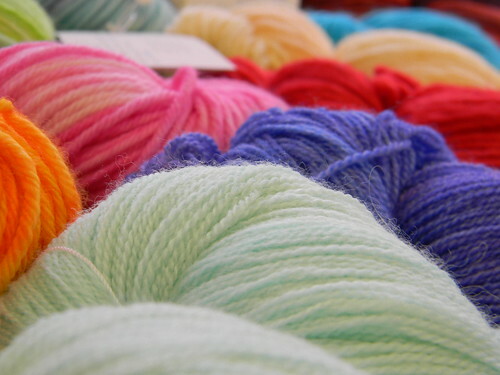 Next time you visit Cape Cod, why not add a yarn stop to your beach visits? These colors are all available but not up on my Etsy shop yet - email me to call dibs! 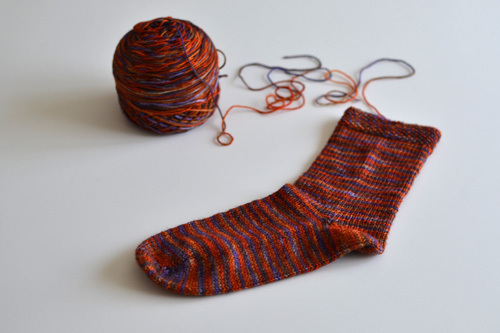 The sock frenzy continues! First pair finished, second pair in progress. I hope you all have a wonderful weekend! I plan on spending mine knitting, dyeing fresh batches and cleaning up my garden which looks a bit post-apocalyptic currently. What are your plans? 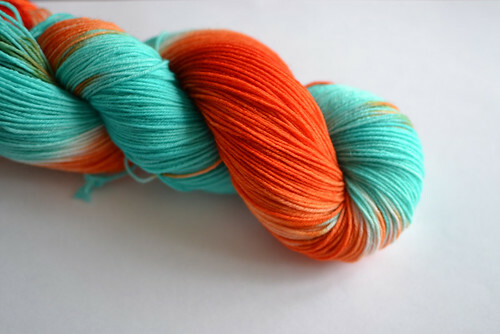 So here it is, my post about the North Shore Yarn Crawl. I needed a few days to really process the event because it was so much more amazing than I could have imagined. 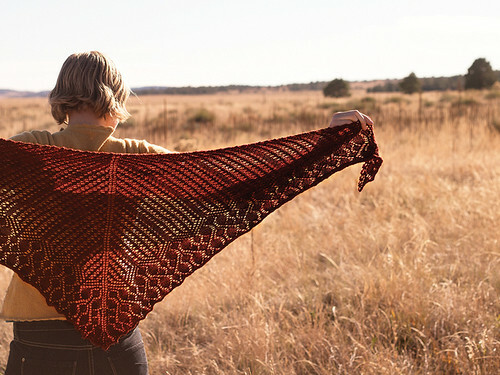 When I moved to Salem in 2009, Seed Stitch became my local yarn store - not only because I could walk there from our apartment, but because it is beautiful. 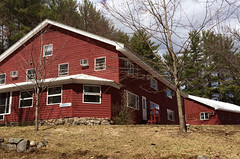 The store is bright and spacious, and big comfy chairs invite people to stay a while, chat and make something. 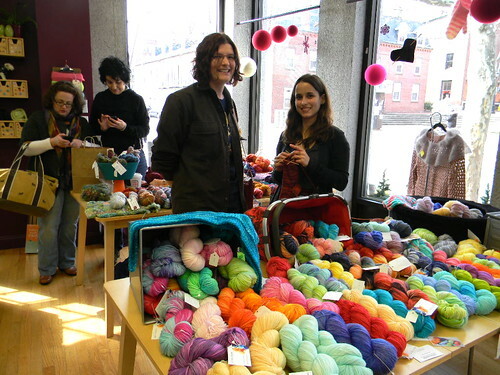 The Yarn Crawl started in 2010, organized by Courtney who is the fabulous owner of Seed Stitch. 2012 was its 3rd year. January rolled around and talk of the 2012 crawl started. I excitedly pulled out my calendar to start planning my crawl route. Then I thought - how amazing would it be if I could be part of the event? So I rang up my faithful fibery partner Ady and we drafted a proposal: a hand-dyed yarn trunk show as one of the Yarn Crawl features. I sent it to Courtney, crossed my fingers and waited for her to tell me they were already booked and didn't have a place for us. Instead, I got an incredibly friendly and enthusiastic response saying she would love to have us. I could hardly believe it! Two months later, we found ourselves setting up our tables as customers lined up outside, waiting for opening time. Then the doors opened - and a wonderful day started. Hundreds of people came to Seed Stitch. Everyone was amazingly friendly and super enthusiastic about our work. I can't remember the last time I smiled so hard! 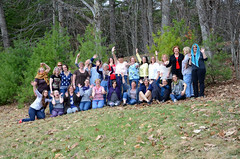 We met wonderful knitters from all over, made new friends and talked about upcoming knitting projects. The day ended too quickly, but I will always have wonderful memories. Me and my table with a customer! Thank you so much to everyone who came out and helped make this day amazing! 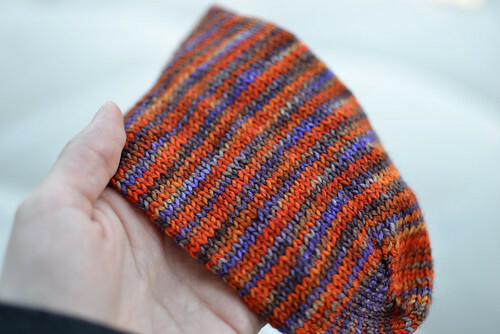 You can see more photos of the Yarn Crawl over on the Seed Stitch Blog. I hope you've had a wonderful weekend! Mine was great, with a fantastic trunk show and beautiful weather. I'll tell you all about the trunk show later though. 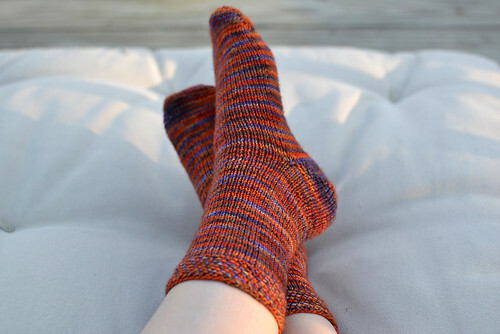 For now, I wanted to share my newest knitting obsession - socks. 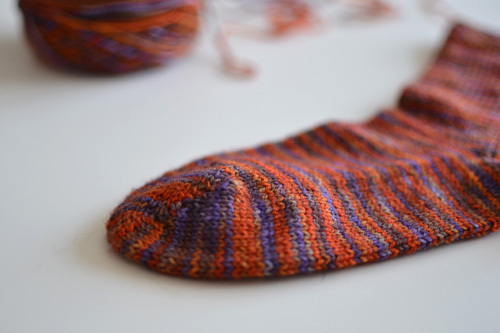 I stole some hand dyed sock yarn from my trunk show inventory (shh) and started a pair of simple socks to highlight the yarn colors. I am totally smitten, can't wait to wear them! What are you making these days? 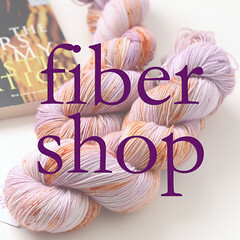 Friends, I am so excited to announce I'll be hosting a hand-dyed yarn trunk show at Seed Stitch in Salem tomorrow, March 17th. 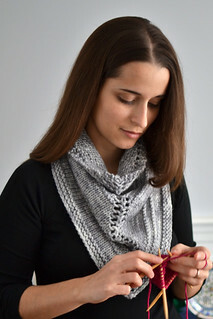 It will be from 10 am to 2 pm, and KnittinK, my lovely partner in crime, will be there too. 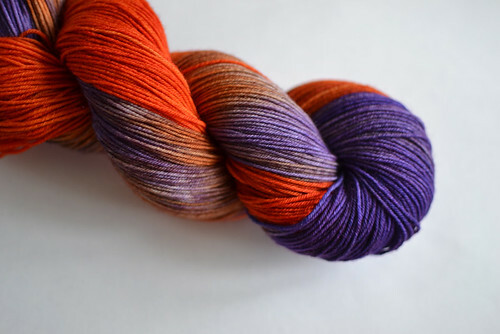 I have over 100 colorful skeins including sock yarn, lace weight, two types of worsted weight and super luxurious bulky yarn. 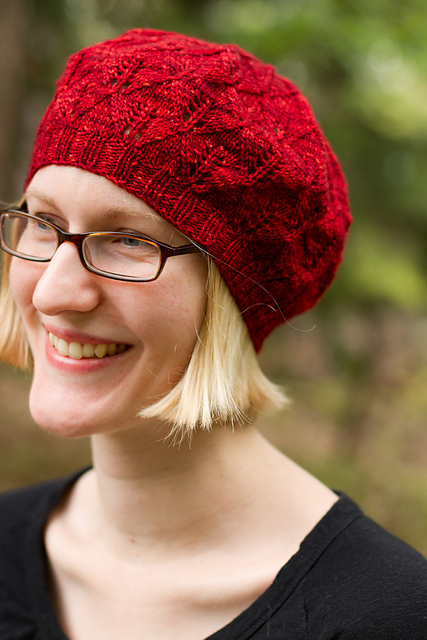 This trunk show is part of the North Shore Yarn Crawl - lots of shops in the area will be offering a ton of goodies! 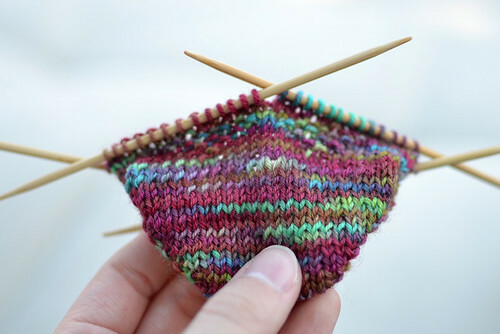 I really intended to post this much sooner and give you guys time to add it to your schedule, but I have been spending all my time setting up dye pots and obsessing over sock patterns (it's a new addiction of mine, pics soon!). I hope some of you can make it, even with the ridiculously short notice! 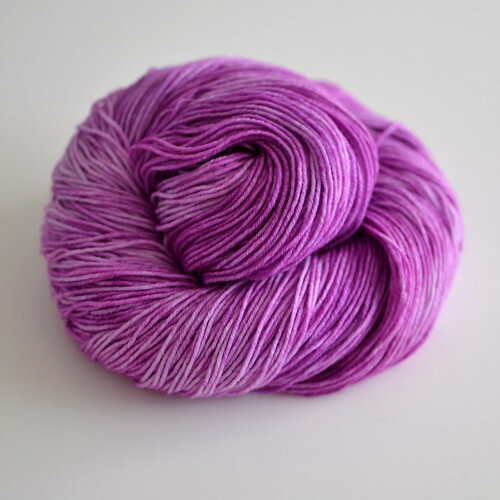 Here is a sneak peek of my new lace yarn: a lovely merino and bamboo blend! What is on your crafty to-do list for spring?